Premier Auto Trade has introduced an extensive range of high quality OE replacement Wheel Speed Sensors as part of their Engine Management and Service Components range. Driver assistance systems optimise safety on the road and are part of the standard equipment in almost all new cars. The interaction of complex electronic vehicle systems is supported by sensors. Wheel speed sensors are of particular importance and are used in numerous applications in vehicle systems. In driver assistance systems such as ABS, TCS, ESP or ACC, motor control units use these sensors to determine the wheel speed. The ABS computer uses this information to prevent the brakes from locking during an emergency stop. If wheel speeds are not equal the computer modulates the anti-lock feature until the speeds are equalised. The wheel speed information from the Anti-Lock Brake System (ABS) is also provided to other systems including the engine management, gearbox and chassis control systems, and navigation systems. 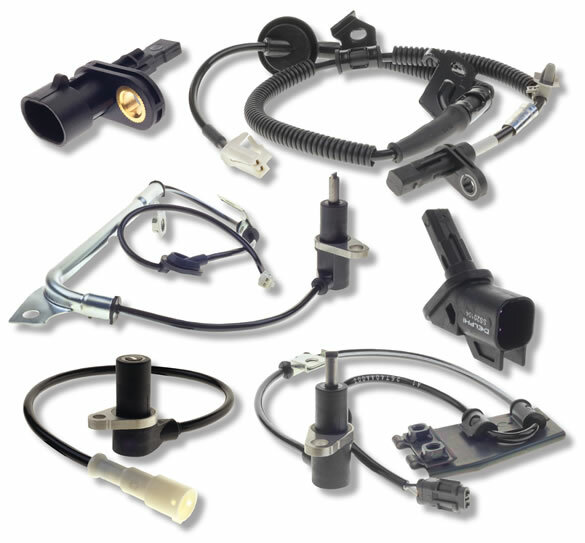 The new WSS program from Premier Auto Trade features Direct OE replacement sensors, equipped with the correct plugs, wire sheathing and mounting brackets for faster, easier installation. Vehicle makes currently available include BMW, Ford, Holden, Hyundai, Kia, Mazda, Mercedes, Nissan and Subaru, with Mitsubishi & Toyota coming soon. Premier Auto Trade’s range of Engine Management and Service Components specialises in genuine and original equipment (OE) products from the world’s leading manufacturers including Bosch, Delphi, Pierburg, VDO, Intermotor, Walbro, Denso, FAE, Valeo, Hitachi, Bougicord, Bremi, Mitsubishi Electric, Walker Products, TE Automotive, Hella and BMC Air Filter. Premier Auto Trade is located in Melbourne, Sydney, Brisbane, Perth and Adelaide with our products sold throughout Australia via a network of specialised resellers and leading automotive retail groups. New breed of High Performance products! Ignition Coils - Coils ain't Coils!